Gionee Pioneer P2S has been priced at RS 6499. The P-2S Pioneer comes with entry level specifications and features. The P2-S is upgraded version of P2 which was launched last year. The Gionee P2s Pioner gains the strength from 1.3GHz 2-core CPU coupled with 512MB of RAM. It would compete VS with Videocon A29 and Karbonn Titanium S1 Plus, both of which comes with 1GB of RAM and 4-core CPU. It has 4 inch display having WVGA resolution. 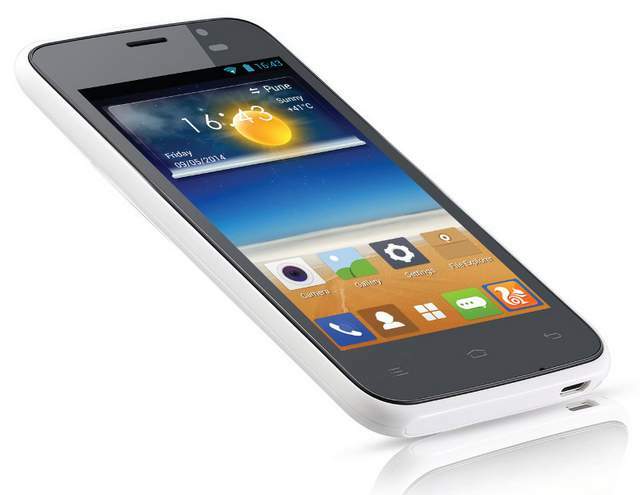 It is a dual SIM phone and runs on Android 4.2 OS. It is accomplished with 5-megapixel primary camera and a VGA secondary shooter. It is 9.3mm thick and weighs 124 grams. The P2 s has 4 gigs of internal storage and 1600 mAH battery. It features V-gesture shots which allows you to capture images easily. The Pioneer P2s is available in Black, Blue, Yellow, red and white colors for INR 6499. You can buy it from company’s official online e-store.